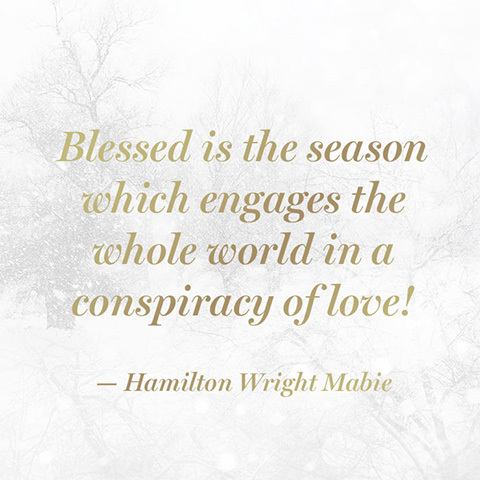 The Holiday magic is upon us, snowflakes are floating in the air and joyous hearts are marveling in the sparkle of the season! I personally have a son turning 21 tomorrow....what? How can this be? I mention this because as fast as the Holiday season goes, the years go faster and you blink and your babies are grown but it still feels like they should be babies. Hold on tight to the special moments that surround you and arise when you least expect it. We sure hope you’ll join us or hop around and check out what others love about this glorious Holiday season! 1. Candy Canes? Yes or No? YES, I like the Big homemade ones. BUT no flavored ones..ucky. 2. Christmas morning early riser or sleep in? When the boys were little it was when they woke up but now it's a more relaxed pace. We open gifts about 9 am then have breakfast. 3. Did you shop on Black Friday? Yes or No? No way, not in stores, but some online. 4. Christmas Tree up in November? Yes or No? OH YES!!! You may remember last year, we didn't get into our new house until mid December so the first thing I did was put up the tree. This year it went up Nov. 10th! 5. Do you get Holiday ideas from Pinterest? Yes or No? Sure do, remember my cabinet wreaths POST? 6. Christmas Glam or Ugly Sweater? Do not like Ugly Sweaters but always have a little glammy-ness on Christmas Eve. And I really like Graphic sweaters and tees. 7. Stocking Stuffers: Wrapped or Unwrapped? Mostly unwrapped as this is how my parents did it as "Santa" as if Santa just filled it up with unwrapped treasures. 8. Traditional or Modern Christmas Songs? Both Baby!!! I'd say I am way more traditional but some of the modern ones are fun! 9. Fruitcake? Yes or No? Oh NO WAY!!! 10. Is your Christmas Shopping Finished? Yes or No? 3/4 done. BUT nowhere near done wrapping. 11. Is there Snow in December where you live? Yep! Not today as we got warmth and rain but more headed this week. It's stunning. 12. Classic Show: A Charlie Brown Christmas or Rudolph? Rudolph all the way! Classic all the Way! 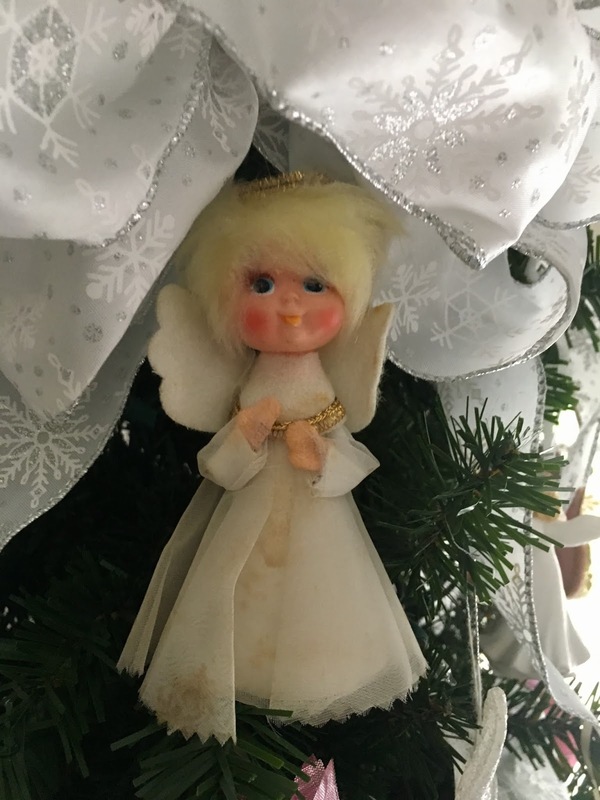 and BONUS...admiring my favorite ornament which still goes on my mom's tree today..the blonde angel! She's tattered but she is still precious more than 4 decades later! ENJOY THIS HOLIDAY SEASON SWEET FRIENDS!! You are a little blonde Christmas Angel yourself my festive friend! Look at you with that candy cane, how precious! Tomorrow is a big day for your boy - wow, these young men of ours are growing up so fast! Have a wonderful day - love ya!!! I love your angel! Tattered ones that are well loved are the Best! Happy Monday sweet lady. Helloooo dear Andrea... So sorry I didn't get my act together to join TBB this time. The blonde Angel is just darling - just like you. Have a great week!! I worked on wrapping this weekend... it can be such a big job that I try to tackle it just a little bit here and there. How cute is that blonde angel!?! Love that she's been around for 4 decades. I still have about half of my shopping and wrapping to get done. Oy! I love the blonde angel and your wreaths look great with the back lighting from the cabinets! What a festive time of year! Your little blonde angel is adorable! Love your graphic holiday tees! Aww I love that special blonde angel from your childhood tree. I have a few of those special ornaments too! Your boy turning 21 will be a fun time I bet! Their growing up goes WAY too fast!! You're right about that. I don't like flavored candy canes either--yucko and why??!! Hope you're off to a great week, my friend. Love that snow and the red dress! Va-voom! I always skip out on the ugly sweaters too haha! Your tree looks GORGEOUS! I can't wait for ours to finally get delivered so we can get started decorating! OH man! 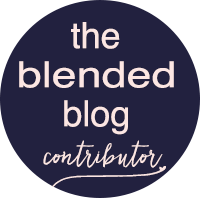 I was writing a TBB for today and didnt finish. Time slipped up on me. When I seen it here this morning I did a face plant in my palm. Oh well. Next time. Happy Birthday to your boy! I have a 27 year old. THey are so fun! I love the Santa Pouch purse! Then I got lost at the “Cocktail” Shirt. I must have one of those! Oh and fruit cake? NO , but my mom makes one that everyone loves. Its not like the rest. Those old, sentimental ornaments are just the best. I have a Little Drummer Boy Christmas card that I signed and my mom made it into an ornament. I love hanging it up every year. Have a wonderful week, friend! How fun are these throwback pics! So fun to see how you've celebrated over the years and some of your past holiday outfits! I so much enjoyed all of your walk-down-memory-lane photos, Andrea! How do manage to look glamorous in pjs and graphic tees?? Your little blonde angel is so sweet, don't you just love those vintage ornaments? Love this cute holiday list! I'm with you - no to ugly sweaters! But yes to GLAM on Christmas Eve. And I never thought about the stocking gifts being wrapped or unwrapped..ours always were wrapped, so I just figured that how everyone else woke up to them too :) Have a happy holiday week girlie! Love love your blonde Angel. So precious, just like you. love me vintage ornaments. I totally just bought Gabbie an "ugly" Hanukkah sweater. Lol. She better wear it! I need to get organized in wrapping- an island for that would help! I'm with you on a ton of these things. My mom makes fruitcake EVERY year...we can't get her to stop. UGH!!! I enjoy thrifting for a sweater and decorating it or jazzing up a shirt for those ugly sweater parties, try not to spend too much on it. Love the throwback pictures and traditions in this post. I just love how early you decorate. The longer you can enjoy Christmas the better, right?!? It looks like we have many of the same answers! I'm not a flavored candy cane girl myself! That angel ornament is too precious Andrea!! Love that picture of you and your boys! Hope you have a great week! You are just the cutest, Andrea! And we have so much in common too! My tree goes up in Nov as well! Happy Monday, babe! I love all of your holiday spirit and the fact that your tree went up on the 10th! Such a cute photo of you and the boys, I hope y'all have a magical Christmas! There is nothing like a special ornament! I love unwrapping each one as we decorate our tree each year and remembering when I got it and who gave it to me/us. So fun! I love candy canes, too! We used to get these giant soft ones when I was little and they will always be my favorite! I love those wreaths you put up. Great Pinterest find. I want a homemade candy cane! Oh, you do have quite the stack of gifts to get wrapped. Wish I was nearby and I'd come and assist and we could sip cider and visit while wrapping. Will miss the questions from you but hopefully someone else will take care of that and we'll go on with this meme. Love ya! Oh my word, that ornament is precious!!! And so loved. :) I don't think I have ever had a homemade candy cane - now I am wondering what the difference is. Sounds delicious! 21! You look adorable in the candy cane pic and ageless..
You are so beautiful and your posts are always so fun! 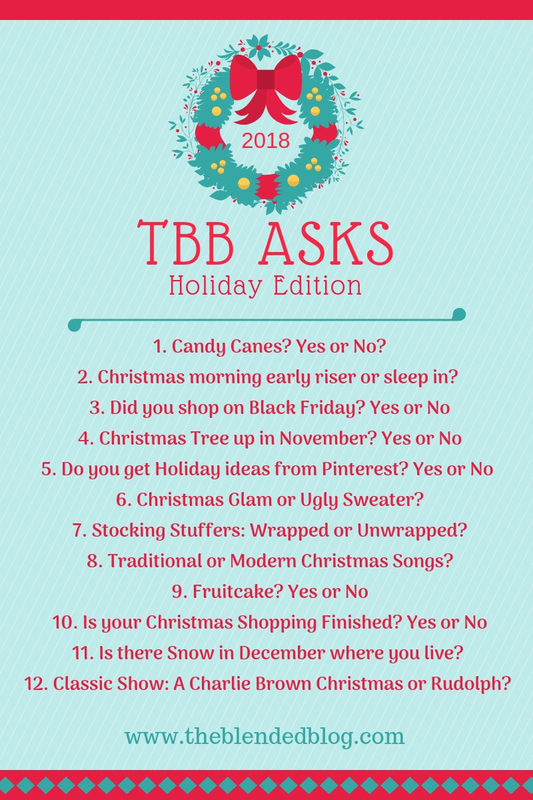 I so enjoyed reading your Ttb asks holiday edition. Thanks for sharing at Cooking and Crafting with J&J. Love your "vintage" ornament and that cocktails blouse! My brother and I each had our own ornaments that we put on the tree every year. They were the first ones to go on. Such great childhood memories and it looks like you had some pretty awesome ones, too, Girlie!! Thinking about you this week! Have fun celebrating the BIG birthday tomorrow!! You don't look old enough to have a 21 year old, especially in the candy cane pictures! Also, it seems like we're totally opposite when it comes to our Christmas outfits. I always go super tacky, but your red dress makes me think I might try a little class this year lol. What a precious ornament that angel is. Last year, one of my holiday bucket list activities was to buy a special ornament for our tree and then continue the activity each year to come. But we aren't putting up a tree this year so it seemed silly to shop for an ornament. Hope to get back on track next year. Your cabinet wreaths are lovely. And so are your tall cabinets! Years ago, I had tall cabinets with full length glass panes in an apartment I lived in in Panama. They were so farmhouse looking. I loved them and they forced me to keep the items in my cabinets nice and neat. Yay for unwrapped Santa gifts. And boo for fruit cake. Who DOES like that stuff anyway? Oh I love that sweet little angel ornament. I love how festive your home is, it looks beautiful. I am with you on putting up my tree in November. I like to enjoy everything for as long as I can, but also, when it's over it's over for me and things go away on the 26...bahumbug. Hahaha! I have never in my life had a homemade candy cane but that sounds amazing! Happy Monday! Happy birthday to your son! You're right, time flies. I have a son that will be 21 in July. I really like your Merry sweater. Reading this makes me love even more, Andrea! If I was posting this, I'd be writing pretty much the same things as you. We are so alike!!! I didn't even know homemade candy canes were a thing haha! Have you ever made them? And if Dustin doesn't have to go into work on Christmas morning, we get up probably 6:30-7ish....still pretty early compared to our friends without kids haha! Awww. I love this and hate that I missed another fun opportunity to share in. You are my favorite! I'm late with mine! Hopefully I can get my post up later today. I always enjoy reading everyone's! It's such a cute prompt each month! I love the way your wreaths look especially with the lights! I've seen other people have wreaths on cabinets and wanted to try it on a few of ours this year. Hopefully my Target still has them in stock! Just LOVE that 'It's Beginning to Look A Lot Like Cocktails' shirt!!!! And, you're the cutest with that candy cane. Hope your son has a wonderful and blessed 21st!!! LOL I'm really starting to wonder if anyone likes fruit cake. Love the cocktails shirt! We are looking forward to a relaxed Christmas morning. All the kids are on their own. We will do a family dinner here on the 23rd to accommodate all the Christmas Eve and Christmas morning celebrations at their in-laws. I'm looking forward to a quiet day with my husband and mom. Hi Andrea, I was just popping and I saw that I could link up! I'm so happy I was able to join in the fun! Thanks for hosting and I will enjoy reading everyones answers.